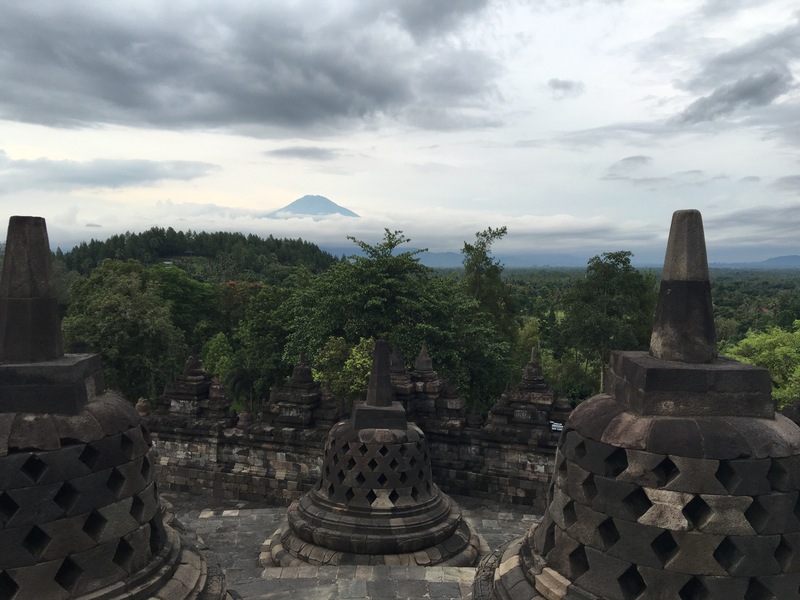 After living here for several months, I’ve realized there are a lot of differences between Indonesian and American culture that I have stopped noticing or take for granted. In this post I hope to address some of those “odds and ends” from my daily life. Indonesia has six state-recognized religions: Islam, Protestantism, Catholicism, Hinduism, Buddhism, and Confucianism. Notably, Indonesia, one of the world’s most populous countries, also is the country with the world’s largest Muslim population. 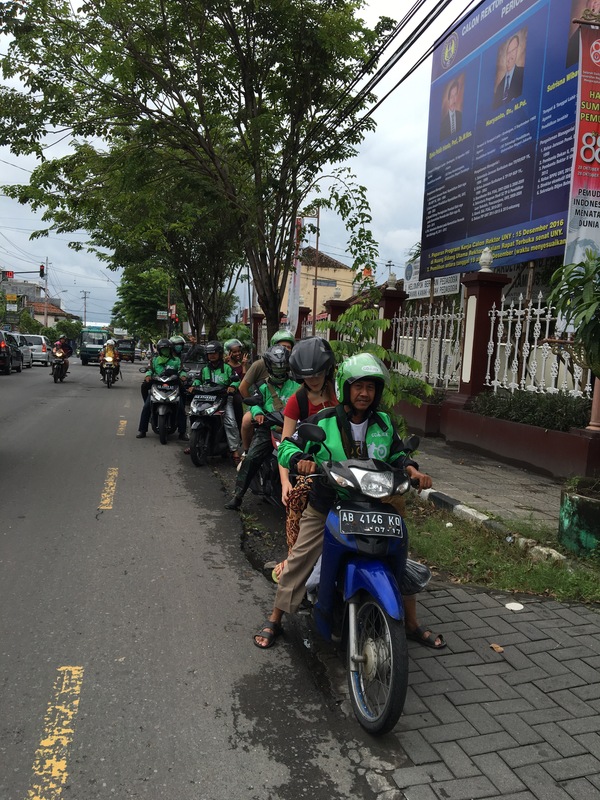 In East Java, I’d guess that roughly 90% of the people I interact with (or more) are practicing Muslims. Most women wear hijabs or jilbabs. I hear the call-to-prayer five times a day, everyday. Most menus are either explicitly halal (food that is permissible to eat by religious standards) or halal by default. Indonesia is a cash-based culture. Fancier places accept cards, but even then it is not common for people to use cards to pay. Trips to the ATM are frequent and necessary. The conversion for Indonesian rupiah (IDR) is about 13,000 to 1 American dollar (USD), depending on the day. I’ve grown accustomed to the conversion and don’t usually think about how much I am spending in USD when I make daily purchases. It also helps that prices are incredibly cheap compared to American prices. For example: a movie theater ticket is 35,000 IDR = $2.70 and fancy cappuccino at nice café (with wifi and AC) can be 20,000- 30,000 IDR = $1.50- 2.30. Especially in Javanese culture, politeness and courtesy are extremely important. For example, people often use titles when speaking to one another, using Ibu or Bu meaning “ma’am” or Pak meaning “sir.” Young people “salim” older people, taking the hand of the older person and pressing it to their forehead or lips to show respect. At school, students “salim” their teachers as they enter and leave class or when they pass them in the halls. One thing I love about Indonesia is that people don’t pay much attention to others while they eat. People keeps their heads down to focus on their own plates. 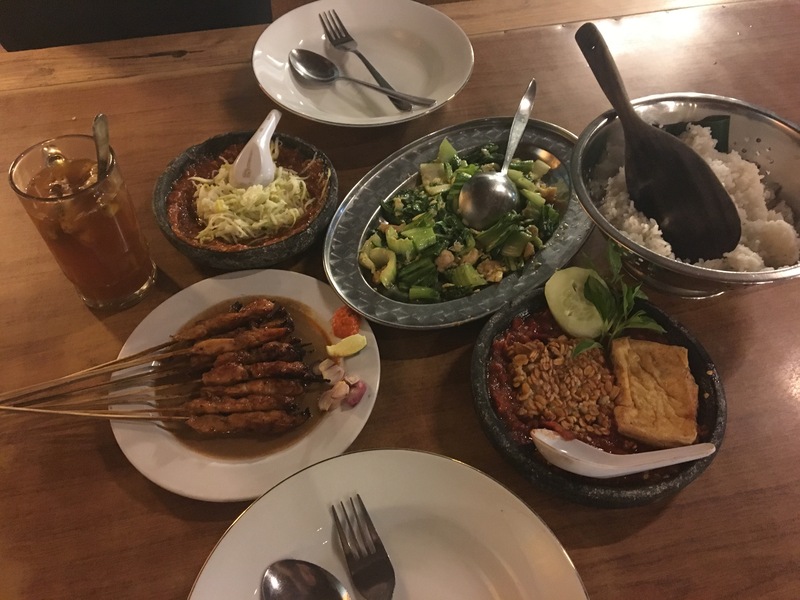 I especially appreciated this indifference when I first arrived and was still learning how to eat my meals with the Indonesian utensils of choice, a spoon and fork. Oftentimes, people will even forgo utensils, preferring to eat rice and meat with their hands. This can be messy and another reason why it’s nice to receive less scrutiny about table manners. On a final note, I want to share anecdote about teaching this semester. My students are enthusiastic, sweet, creative, and love to talk to each other (but not always in English). They have constantly surprised me with their many talents and questions. The biggest lesson I learned this year as a teacher is to never underestimate students’ capabilities. Perhaps the best example of this lesson was the WORDS competition. Each ETA held one competition at his or her school in February or March, and then attended the national competition in Jakarta in early April with the winner from his or her school. At the national competition, 29 students from across Indonesia competed against one another. For the competition both locally and nationally, each student had to give a five-minute performance including a speech and talent, all in English. 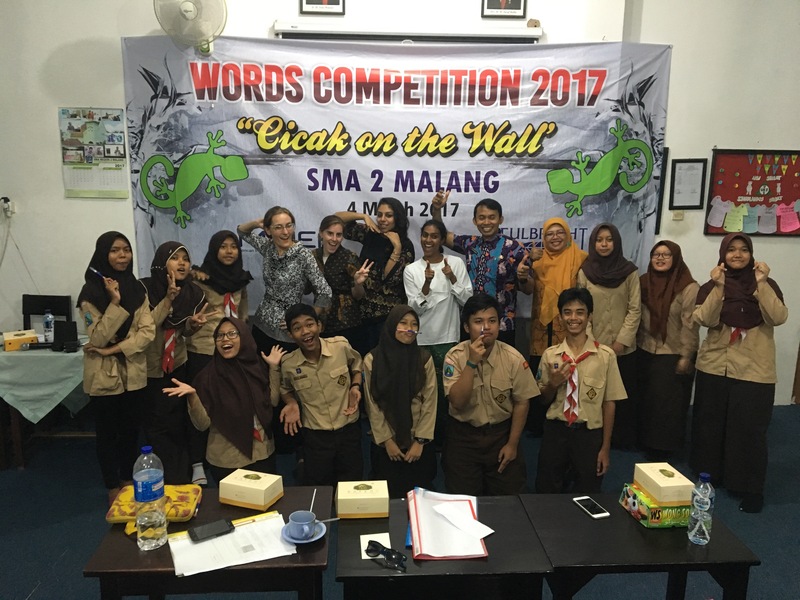 The speech theme was “cicak on the wall.” A “cicak” is gecko, and they’re omnipresent here, so the theme was an Indonesian twist on asking students where they would be a “fly on the wall” if they could be anywhere in the world at any time. At my school, SMA 2, 11 students from 10th and 11th grade competed. They were wonderful! They imagined lives as cicaks in places such as Paris, the White House, and Seoul, while also performing talents such as playing guitar, singing, and dancing. About a month later, Boby, the winner from SMA 2 and a very bright 11th grader, accompanied me to Jakarta for the national competition. Boby and Chalvyn, the winner from Shreya’s school, were great! They were polite, easy to talk to, and made friends with one another and the other students quickly. Best of all, despite their nerves, they gave wonderful performances at the competition. Chalvyn won for “Best Talent,” demonstrating for the audience how to make a lamp from plastic spoons. Boby won “Best Overall”! He gave his speech about wanting to go to the moon and connected it to his dream to become a Hollywood actor, concluding that if you shoot for the moon you’ll land among the stars. Then he brought down the house singing “Audition” from La La Land. Shreya and I were proud teachers, and it was a great time for all.